The whole premise of a pub crawl revolves around overindulgence. The same can be said of going clubbing. Having a hangover after participating in one of these activities is basically a guarantee. That’s why IV therapy is such a perfect fit for these events. It offers a “hangover cure” to people who are, in all likelihood, in dire need of one. An IV drip typically costs between $100 and $150. Even if you are offering a special discount on treatments as part of your event, you will still make a generous profit margin. Customers will be highly incentivized to purchase an IV service in the moment, and even ten or twenty treatments will bring in excellent returns. IV infusion therapy works quickly to rehydrate and rejuvenate mind and body. Your customers will come away feeling like new and ready for round two! 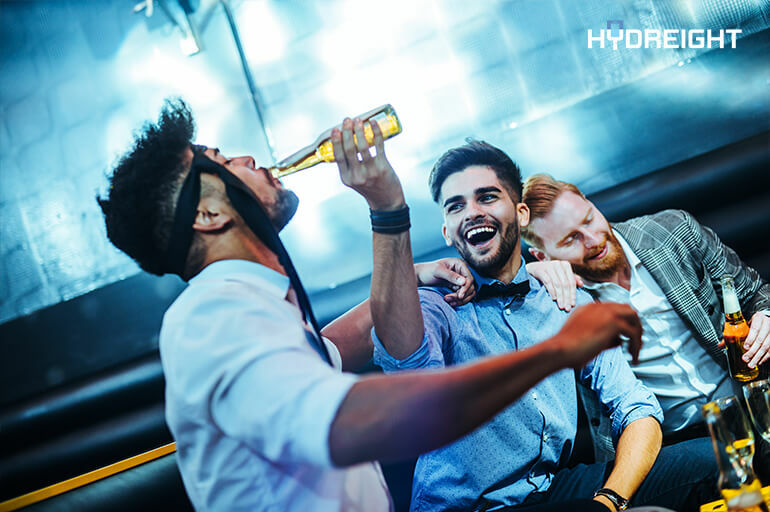 In addition, an IV treatment at the end of the night can minimize the effects of a hangover the next day, or if you’re hosting a two-day event, encourage customers to come back to treat their hangover the next day. IV infusion therapy is an increasingly popular trend especially in the event and bar industry — for obvious reasons. What that means is a lot of people have heard about IV therapy and are interested in trying it themselves! Offering IV at your pub crawl or club event is a great way to attract new customers and build hype for your business. At Hydreight, we are always looking for new businesses to work with. We partner with many local establishments to set up hangover stations and deliver IVs to individuals in need! These events are always a hit, not to mention a lot of fun. If you have an upcoming pub crawl or club event where you would like to offer IV treatments, we would love to connect. Fill out the form below to get in touch!